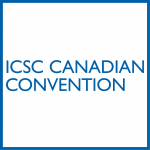 Visit the ICSC Website for details! 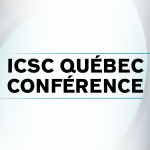 Join the Conversation on Twitter: Tweet using the hashtag #ICSC and follow @ICSC for the latest news and updates on the event. Commercial real estate leasing activity is significantly integrated with the landlord’s asset management strategies. For that reason, the conference program will have a much wider scope than in the past. RealLeasing has been rebranded as The Real Estate Strategy & Leasing Conference, the topics and discussion will be targeted at all executives who have responsibility for their organization’s asset management strategies as well as all the individuals who play an integral role in leasing activity. The program will examine key issues, emerging trends and practices, and discuss effective strategies in today’s markets. The Real Estate Strategy & Leasing Conference is designed to meet the needs of executives who have responsibility for their organization’s asset management and leasing strategies as well as individuals who play an integral role in the leasing process for office, industrial, and retail space and buildings. This one-day conference is organized by the Real Property Association of Canada and Informa Canada, the producers of The Real Estate Forums. Joining the conference as key supporting organizations this year are the Toronto chapters of BOMA, CoreNet Global, NAIOP, SIOR, and Toronto CREW. This will ensure a stronger representation of the perspectives of tenants and corporate real estate users along with a broader demographic of participants. In keeping with the strong reputation of the Forums, The Real Estate Strategy & Leasing Conference will present high-quality speakers on very topical issues at a relatively low registration fee. Opportunities for networking will be specifically inserted throughout the conference. 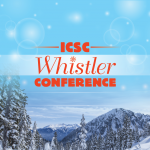 The Whistler Conference will offer a combination of education for shopping centre professionals as well as a forum for leasing & networking. In-depth sessions with top-caliber speakers will provide the opportunity to both enhance your expertise in your present field and delve into new areas.